SIHO accesses many provider networks across the country. 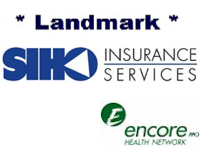 Below are some of the provider networks SIHO utilizes for our employee health benefit plans. You can find the network your health plan utilizes by referring to your member ID card. You can then locate a doctor, hospital, or another medical facility that is part of your network. Members of the SIHO Prime Care Choice, SIHO Care Plus, and SIHO HMO plans must contact SOLUTIONS at (812) 377-5074 or (800) 766-0068 for a listing on in-network mental health and substance abuse providers. Your member ID card will show the networks for your plan. The first logo will be your Tier 1 network and will offer the best discounts. If you do not find your physician or facility in the Tier 1 list, you may be able to select from a Tier 2 network. Check your ID card and if there is a second and/or third network listed you can search those directories. Tier 2 provider networks offer an expanded list of healthcare providers that are contracted at competitive rates for your benefit. 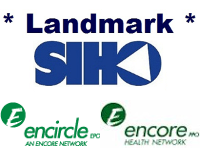 This is NOT the SIHO *Landmark* network.Check the logo on your ID card.